The Supervisory Skills: The Fundamentals training series is designed for current supervisors/managers as well as those employees slated for supervisory positions in the future. Topics in this training series include: discipline and discharge, workplace harassment, employment law overview, performance management, and reasonable suspicion. The employment law module provides an overview of the following major employment laws: Equal Pay Act, Title VII, Age Discrimination in Employment Act (ADEA), Pregnancy Discrimination Act, Americans with Disabilities Act (ADA), Family & Medical Leave Act (FMLA), Uniformed Services Employment and Reemployment Rights Act (USERRA), ADA Amendments Act, Genetic Information Non-Discrimination Act (GINA), and Lilly Ledbetter Fair Pay Act. The wage and hour module provides an overview of the Fair Labor Standards Act and Nevada Chapter 608. The workplace harassment module provides an in-depth review of the laws applicable to workplace bullying and sexual harassment. The discipline and discharge module provides guidance regarding employee discipline and discharge, including types of disciplinary action, documenting discipline, and best practices. The reasonable suspicion module provides an overview of reasonable suspicion testing, including the indicators of drug use and alcohol abuse. 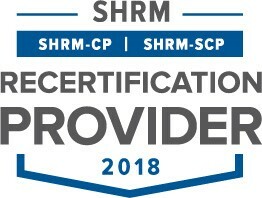 The performance management module provides guidance on employee performance, including communicating employee performance expectations and providing feedback. At the end of the series, attendees will have an understanding of the laws applicable to their roles as supervisors and/or managers and what best practices are in each of the topic areas. 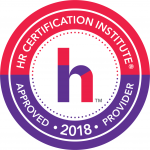 This program has been submitted for 8 HR (General) recertification credit hours toward aPHR™, PHR®, PHRca®, SPHR®, GPHR®, PHRi™ and SPHRi™ recertification through HRCI.